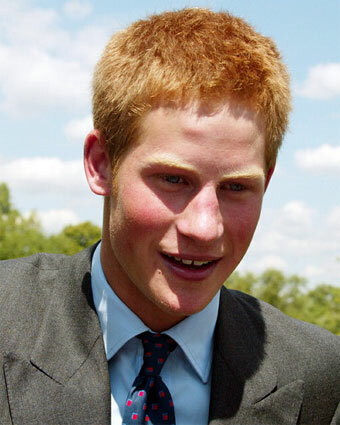 Is a Wedding Next for Prince Harry and Chelsy Davy? Now that Prince William and Kate Middleton have officially tied the knot, all eyes are Prince Harry and girlfriend Chelsy Davy. Could the younger prince be following in his brother's footsteps and heading down the aisle soon? Though the pair had a tumultuous relationship in the past, many believe that Harry, 26, is ready to make a commitment with Davy, 25. "Harry told Chelsy he's ready to settle down for good with her and make things official," an insider revealed in the latest issue of Life & Style, on newsstands now. The couple, who met in 2004 and split last September, rekindled their romance just in time for last month's Royal Wedding. Though rumors of Harry's infidelity and "bad boy" antics have caused problems in their relationship, friends of the couple say the prince has changed for the better. "Harry has been accused of cheating on her in the past [which he's denied], and her friends at the time told her to ditch him because he was bad news. But now it's the opposite," a friend told the magazine, adding that the prince has talked to Davy's friends in hopes of convincing her he's different now. Many attribute the change in Harry's behavior to his new military career and the fact that he's outgrown his youthful antics. "Over the last 12 months, we've seen a massive shift in Harry's character," Katie Nicholl, author of 'The Making of a Royal Romance,' told Life & Style. "He's settled down a lot more -- he's not falling out of nightclubs. He takes his military career incredibly seriously and has changed his lifestyle." But those hoping for another Royal Wedding spectacle in the near future will be disappointed. Whenever Price Harry decides to pop the question and walk down the aisle, one thing is for sure: it will be a much smaller occasion. Because Harry isn't the heir to the British throne, he and his betrothed will have fewer rules and customs to follow. "As the spare heir, Harry wouldn't be under the same pressure as his brother to have a big public wedding," Nicholl said, noting that a more low-key affair at Windsor Castle would be a likely option, whenever the time comes.